Anyone who has lost someone close to them will understand me when I say that nothing can prepare you, nothing. Nothing can prepare you for the gut wrenching pain of realising that that someone is gone, that you will never see them again, or feel their touch again, or laugh with them. Nothing can prepare you for the nights of broken sleep, filled with dreams of happier times that become broken memories when you remember that there are no more to make. Nothing can prepare you for how much you will miss them, in times where you are happy and in times where you seek comfort, in times where you need their advice or their compassion. Nothing. Earlier this year, I lost one of my favourite people to cancer and this has forced me to feel things that I didn't know I could feel. 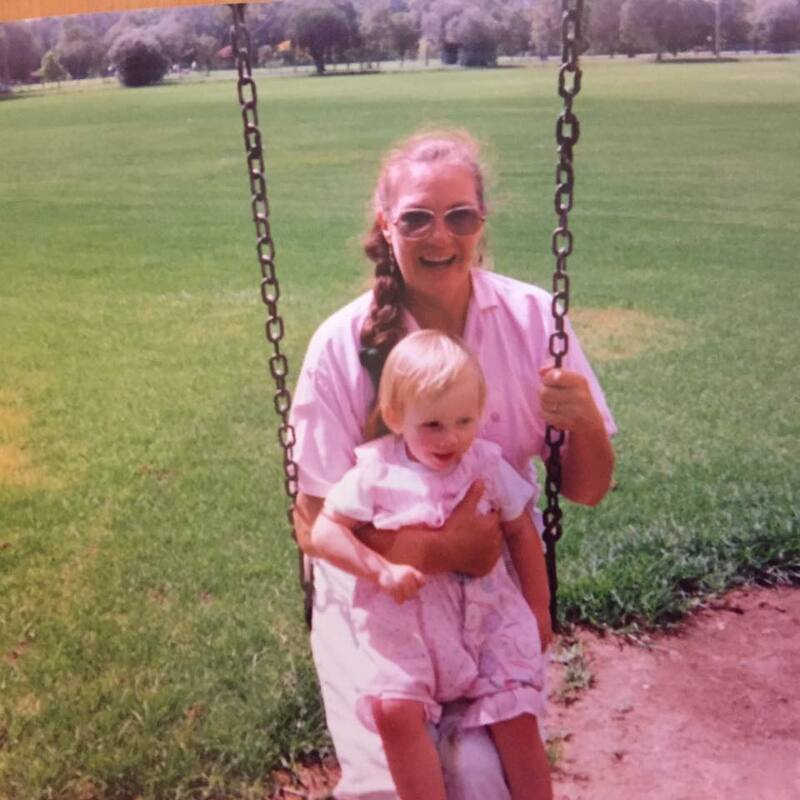 My Nanna was an extraordinary person and to me, she was much more than just my mum's mum. I wasn't sure about writing about this, but I know that I am not the only person to feel these things. I know that this will not be the last time I am faced with grief. I know that whilst I feel so alone right now, so many family and friends are feeling just the same and so I thought I would share. I'm hoping that writing about my feelings will help not only me, but others too. This Guy and I returned from India less than two weeks ago, and moved into our new home shortly after. My life felt full. I had been travelling with the man I loved and was now moving into our new home, choosing fresh new plants and making plans for our future. Until I was sitting at home a few days ago, bored, and it hit me again. She was gone. The waves of emotion I felt back in January when she passed away, and again in March when she would have turned seventy one, came flooding back, and my heart is still heavy with this emotion days later. I've noticed at work that I am not partaking in office banter as often as I used to, and becoming more reserved at times when I feel vulnerable. I'm probably coming off a little rude to my colleagues but I'm sure this will pass, and things will return to how they once were. I find myself reflecting on things I have said and done in the past. As mother's day comes up next month, I am so glad that I had the opportunity to visit her last year for Mother's Day. I recall having a dream only a couple of weeks prior, where I was at her funeral, and the next morning I booked to visit her. Part of me hopes that the pain will go away, that thoughts of her won't always be met with tears, but a part of me knows that the pain is proof in the undying love I have for her. It may take me a while to be able to reflect on our memories without feeling agony over the loss of such vibrant life, but a time will come, and it's okay if it's not today, or next week, or next year. It's okay to feel things. It's okay to be sad. It's okay.